The Folio Society publishes beautifully illustrated hardcover books featuring the world’s finest literature. 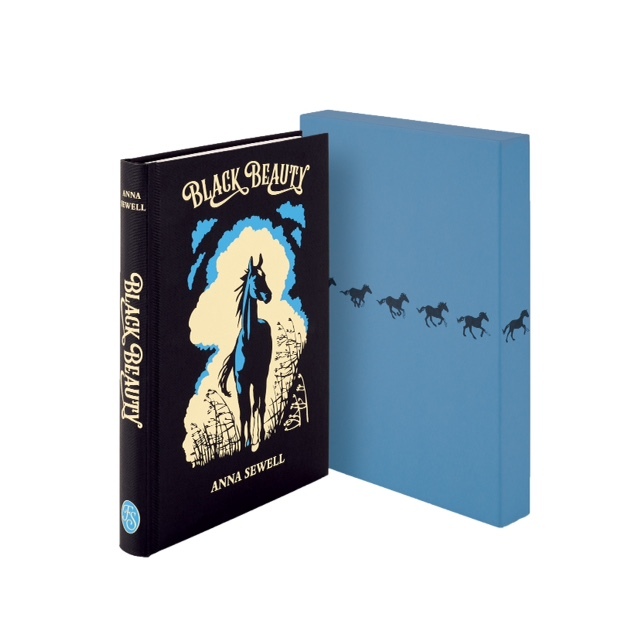 As part of its Christmas collection, children’s favourite Black Beauty has been bound in cloth, embellished with nostalgic illustrations and is presented in a printed slipcase. The Anna Sewell classic, first published nearly 150 years ago, is one of the best-selling and most widely read books of all time and has sold more than 50 million copies worldwide. Black Beauty is the story of a horse told from the animal’s perspective. From his early years on a farm through to working life at the hands a number of masters. Along the way, Black Beauty encounters hardship and is often treated unkindly by his owners. The publication of this book helped change our views of animal welfare, encouraging greater empathy and awareness, which is what the author intended. This new edition from The Folio Society is introduced by award-winning children’s writer Michael Morpurgo with full-colour images by Annette Hamley-Jenkins. 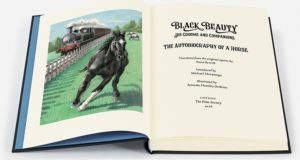 Fifteen miniature portraits throughout the book bring Black Beauty to life as you fan the pages, making this unique book the perfect gift for Christmas.